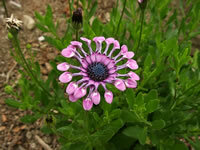 African Daisies are generally considered to be annual plants, but certain species are hardy to USDA zone 6. Osteospermums should be grown in full sun, but they will tolerate some partial shade. African Daisies should be watered regularly because if they are allowed to dry out completely their growth will be stunted. 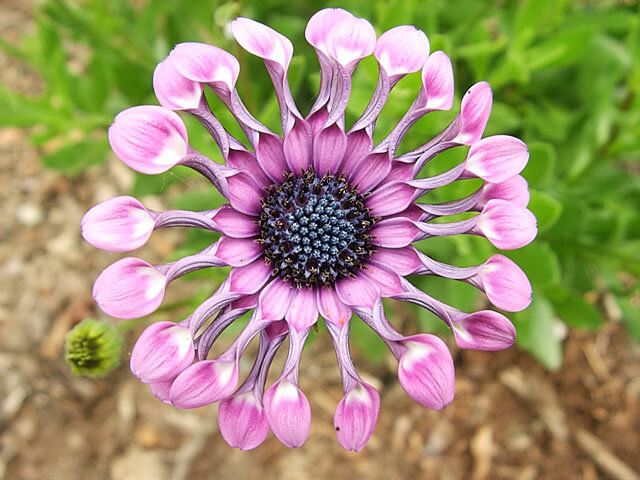 Once established, the African Daisy should be fed every 2 weeks with a good all-purpose fertilizer. Remove the spent flowers promptly to promote new growth. Any weak or spindly stems should also be removed... they will quickly be replaced by fresh new growth! Hardy Osteospermums should be cut back to the ground in late fall or very early spring. The blooming season of the African Daisy plant begins in early spring and continues until the first frosts of fall. The flowers of the African Daisy will only open fully on a sunny day, but even on an overcast day, they will open partially, giving you a much different effect. Osteospermums can be grown from seeds sown in the garden in early summer or started indoors at any time. African Daisy plants can also be started from softwood tip cuttings taken from non-flowering shoots.